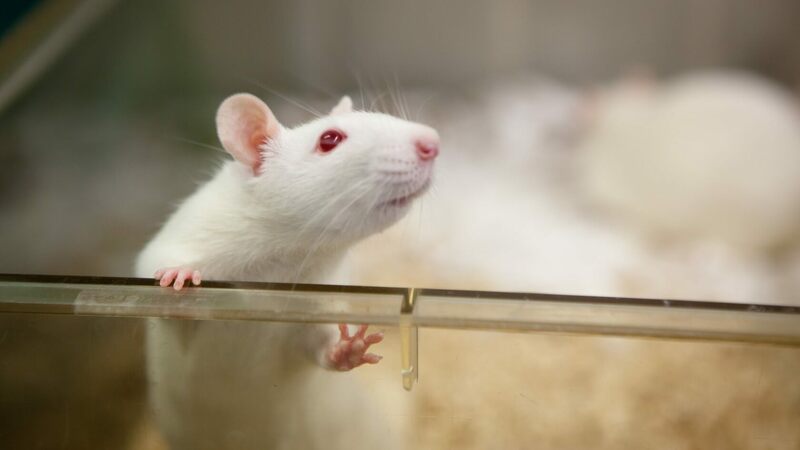 Scientists at the University of Washington have released an interesting tool for studying the ultrasonic vocalizations of rats. It is a convolutional neural network capable of analyzing and categorizing rat calls. Studying rat vocalizations is time-consuming for a human. For one thing, most squeaks that rats make are above the 20kHz threshold of human hearing. So analysis requires slowing recordings down by as much as a factor of 20 to hear the highest vocalizations. This also means that one hour of audio becomes 20+ hours of analysis. Researchers Kevin Coffey and Russell Marx have developed a deep-learning algorithm called DeepSqueak that can isolate and sort rat calls from raw audio recordings. The program was actually evolved out of software used by autonomous vehicles for obstacle avoidance. The researchers' modifications allow the software to group squeaks by similar characteristics and can even identify patterns such as a specific sequence of calls. Most animals calls have a meaning behind them, but they are generally random. For example, a kitten might mewl for milk, but it does not string together a series of sounds to convey more complex meaning. Rats may be different in this regard. Using DeepSqueak to study the vocalizations led the researchers to discover patterns that could be a crude syntax. Meaning that rats may actually have their own language. It is a question that requires more study. Unfortunately, Marx and Coffey are busy with their own depression and addiction research. However, they would like to see other scientists contribute to the catalog of squeaks and benefit from the software, so they have released DeepSqueak to the public. The MATLAB packages are available on GitHub along with the paper they published in Nature's journal of Neuropsychopharmacology. “To get the Rosetta Stone, you know like what does each call mean, you kind of need a lot of people working on different behaviors and like seeing what calls are made,” said Coffey. By opening the software to everyone, the database of calls can grow much faster and behavioral links to vocalizations can be drawn by other studies. Soon we will have speaking rats. This is what I always wanted !!!! Soon? Haven't you watched the news? Washington is just FULL of them! Cal Jeffrey, Right side bob, wiyosaya and 2 others like this. Oh right. For some reason I always thought those were *******es. Yeah, but I don't think its really possible to converse with them and their "stumping"